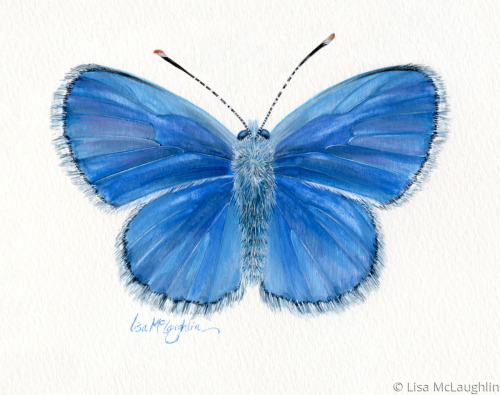 Popular migratory butterfly, big blue eye spots on wings really pop. Loads of detail. This framed McLaughlin watercolor original is available for purchase, please contact. 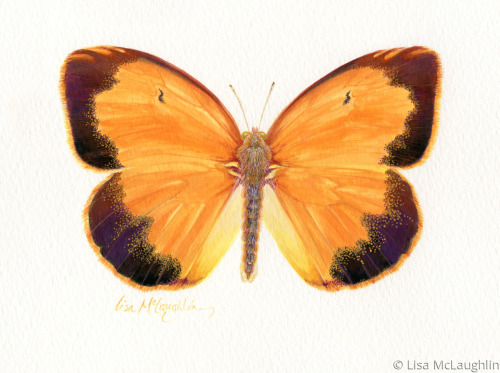 5" x 7.75"8" x 12.5"11" x 17.25"14" x 22"17" x 26.75"21.75" x 34.25"
Very unusual little butterfly and color combination! as the eyes look toward the next flower. 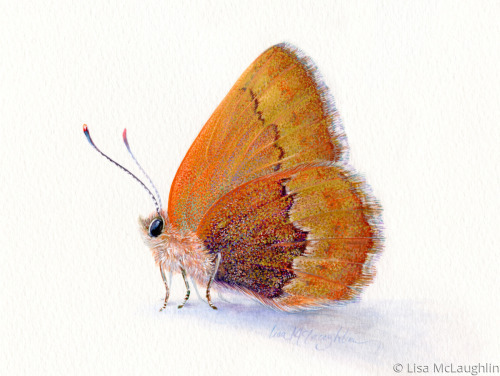 A close up view of a tiny golden butterfly with a big personality. 5" x 6.25"9" x 11.25"13" x 16"17" x 21"21" x 26"25" x 31"
Delicate shades of peach and gold. 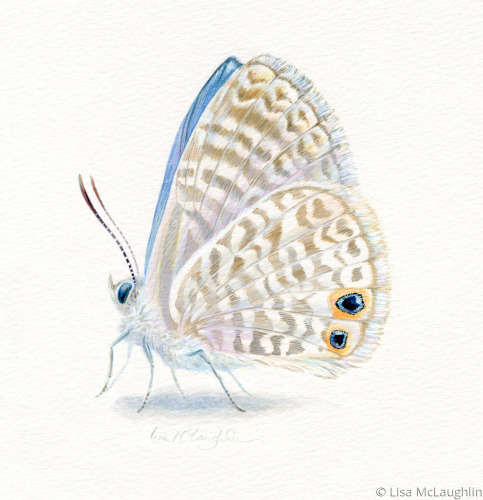 Unusual wing shape. 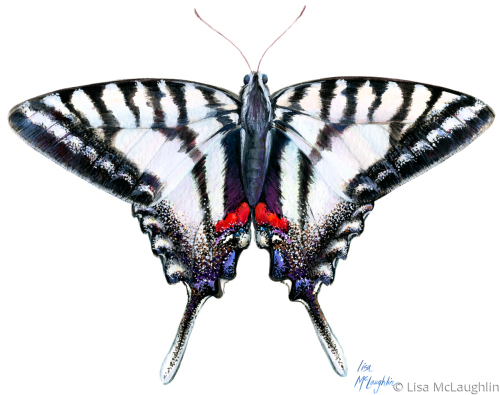 5" x 6"8" x 9.75"11" x 13.25"14" x 17"17" x 20.5"20.5" x 24.75"
Zebra Swallowtail Butterfly in flight. Vibrant and life-like. 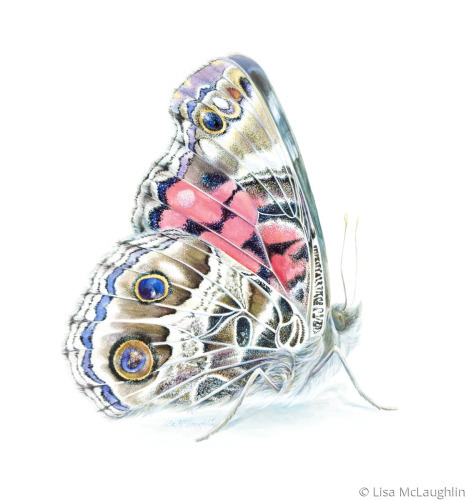 Detailed watercolor painting. The unframed original is available for purchase. Please contact. 5" x 6.25"8" x 9.75"11" x 13.5"14" x 17.25"17" x 20.75"21.75" x 26.75"
Exquisitely detailed. Rich color. 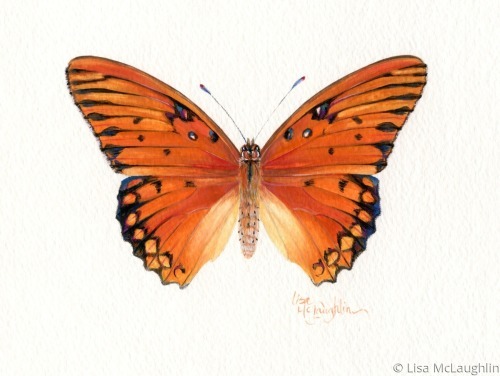 Delicate original watercolor painting. The unframed original is available for purchase. Please contact. 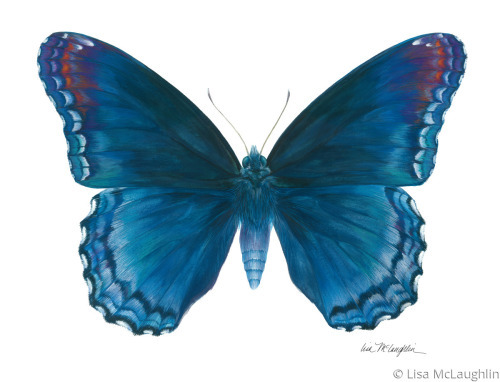 5.25" x 5"11.75" x 11"18.25" x 17"24.75" x 23"31.25" x 29"35" x 32.5"
Blue Morpho Butterfly, gorgeous, popular tropical butterfly. 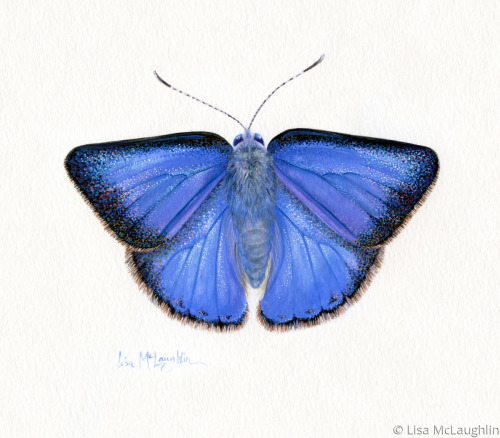 Very detailed and realistic, azure wings glow with light. than life-sized is available for purchase, please contact. 5" x 6.25"9" x 11.25"13" x 16.25"17" x 21.25"21" x 26.25"22.75" x 28.25"
Perched and full of personality. Wide-eyed and alert. 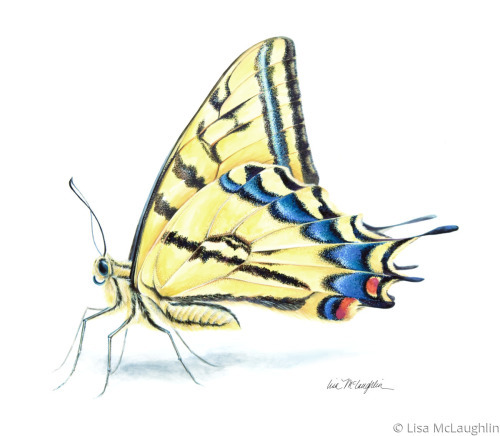 Large and life-like with wings of blue and brown, splash of yellow. 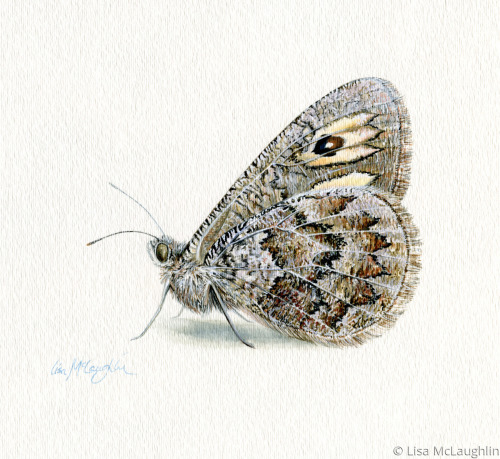 5" x 5.25"9" x 9.5"13" x 13.75"17" x 18"21" x 22.25"23.25" x 24.75"
This little prairie butterfly is patterned to blend in. Detailed in shades of neutrals, silvers, grays. 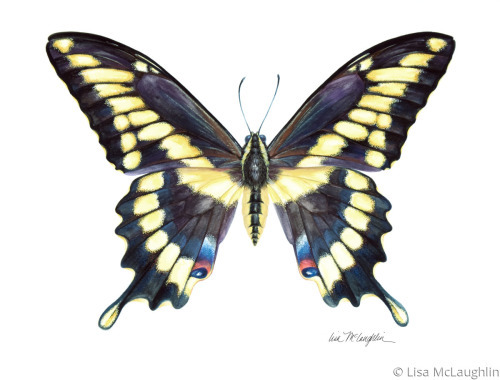 5" x 5.5"10" x 11"15" x 16.25"20" x 21.75"25" x 27.25"28.25" x 30.75"
Zebra Swallowtail Butterfly in resting position. Vibrant and life-like. 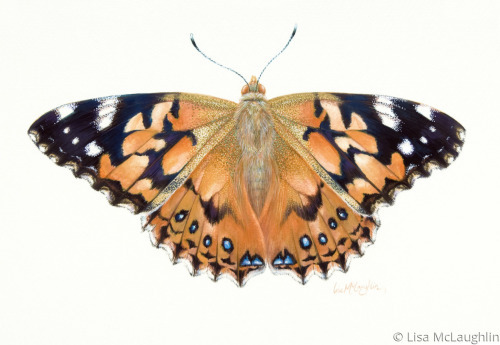 Detailed watercolor painting. The unframed original is available for purchase. Please contact. 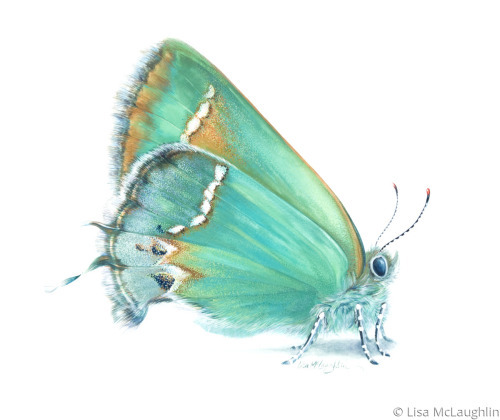 5" x 6.25"8" x 10"11" x 14"14" x 17.75"17" x 21.5"21" x 26.75"
Great Purple Hairstreak Butterfly, rich cobalt blue wings. Unusual little end tails give this desert flier an exotic flair. 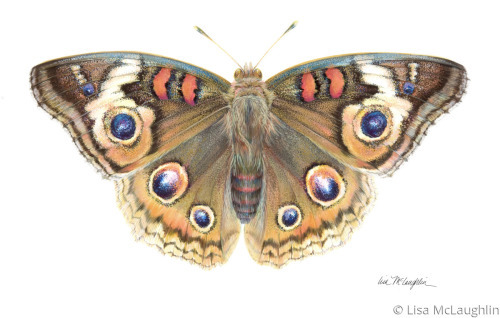 5.25" x 5"9.5" x 9"13.75" x 13"18" x 17"22.25" x 21"27.75" x 26.25"
has intricate wing patterns. 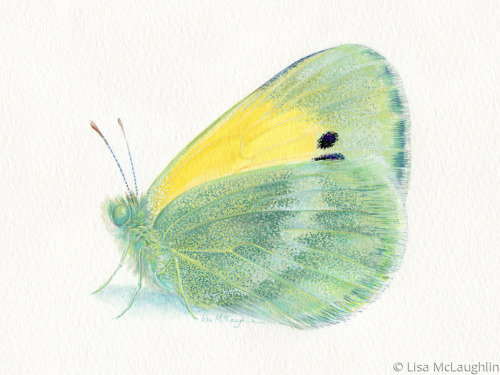 Gold and chartreuse shimmer as it flutters by. 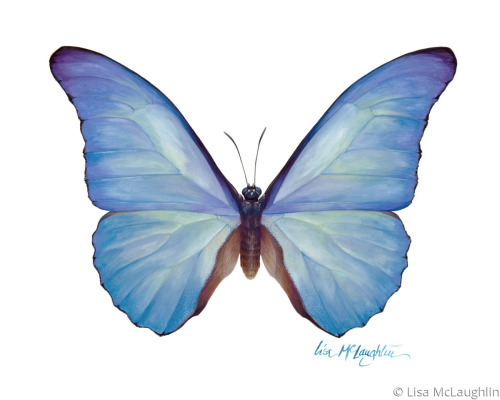 6.5" x 5"11.5" x 9"16.5" x 13"21.75" x 17"26.75" x 21"31.75" x 25"
Marine Blue Butterfly wings shimmer with irridescent blues. 5" x 6.25"9" x 11.5"13" x 16.5"17" x 21.5"21" x 26.5"23.5" x 29.75"
larger than than life-sized, available for purchase, please contact. 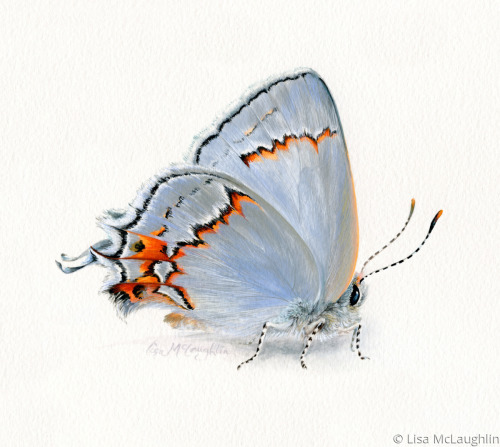 5" x 5.75"9" x 10.25"13" x 15"17" x 19.5"21" x 24"24.75" x 28.25"
Gray Hairstreak Butterfly, cute with lots of personality upon gossamer wings. 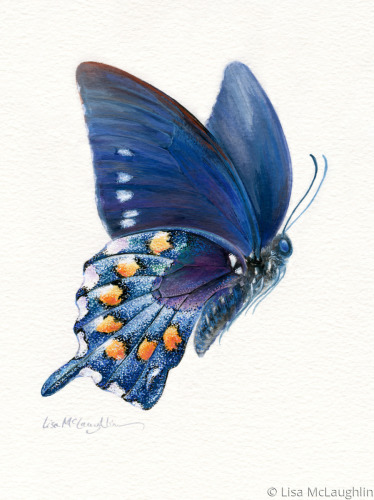 5" x 5.5"10" x 11.25"15" x 16.75"20" x 22.25"25" x 28"28.25" x 31.75"
Red Spotted Purple Butterfly, big and bold. 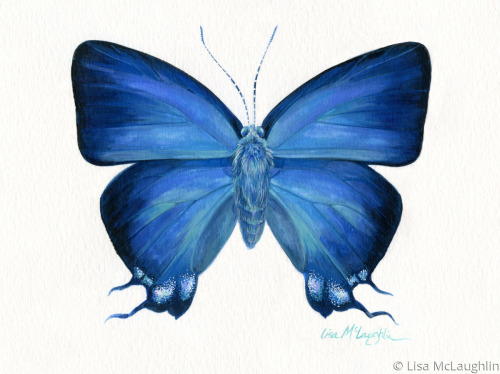 Deep rich shades of blue and indigo. 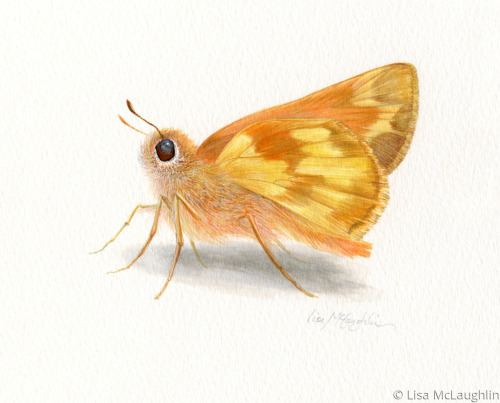 and sunny yellows, diminutive field butterfly perched. Life-like and sweet natured. 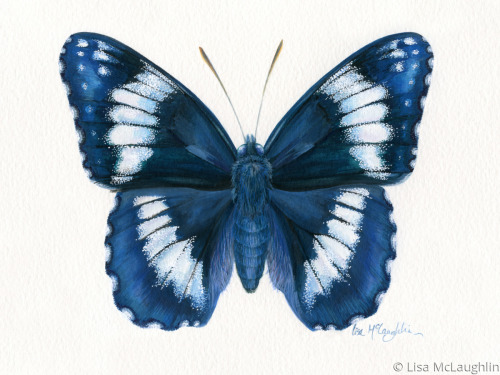 Western Admiral Butterfly in deep rich shades of blue and navy blue. shimmer with tones of brass, gold and copper as it takes flight. 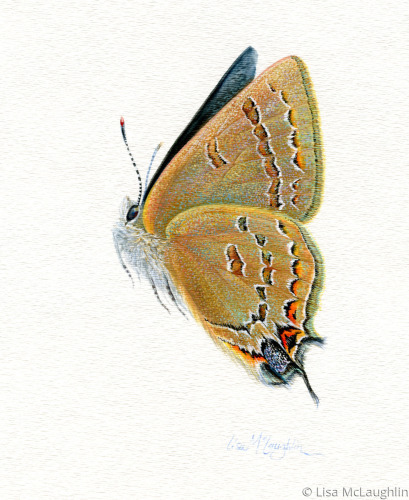 Arizona Hairstreak Butterfly, bright, brilliant cobalt blue wings shimmer. 5" x 5.75"10" x 11.5"15" x 17.25"20" x 22.75"25" x 28.5"28" x 32"
Diminutive and lively, the wing patterns are lace-like. 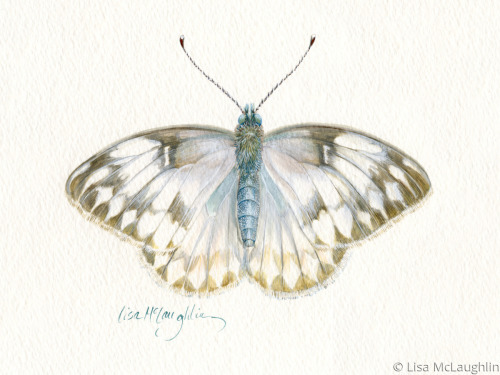 5.25" x 5"10.25" x 10"15.5" x 15"20.75" x 20"26" x 25"29" x 28"
Delicate little white field butterfly, subtle gold patterning on wings. 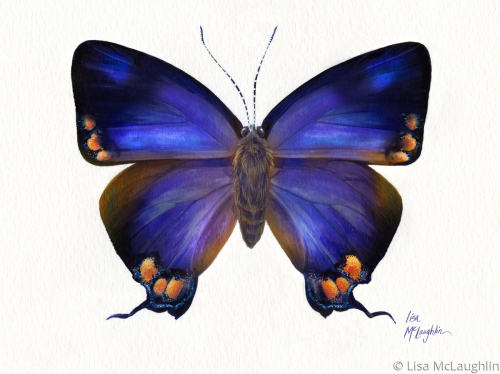 5.5" x 5"11.25" x 10"16.75" x 15"22.25" x 20"28" x 25"35" x 31.25"
Pipevine Swallowtail Butterfly, deep blue and indigo, rich vibrant color. 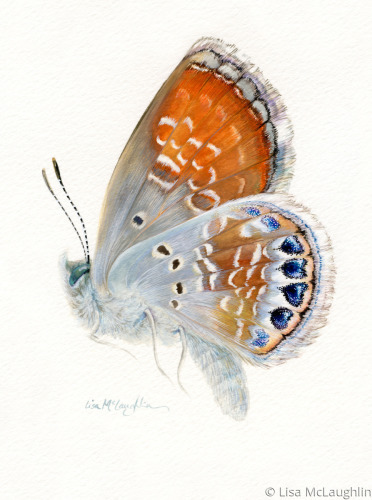 5" x 7"6" x 8.25"7" x 9.75"8" x 11"9" x 12.5"11.5" x 16"
This painted Lady Butterfly perched and full of personality. Bright alert eyes. 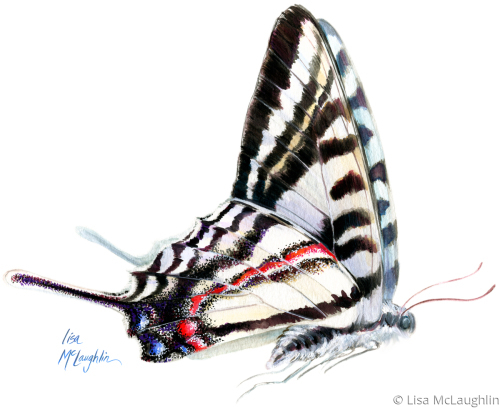 Vivid wing patterns with a splash of pink. life-sized, available for purchase, please contact. 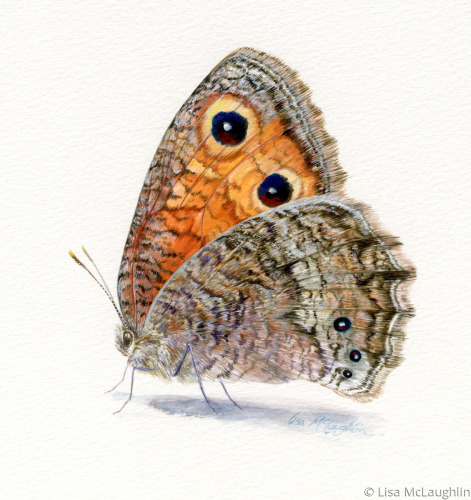 5.25" x 5"8.5" x 8"11.75" x 11"15" x 14"18.25" x 17"22.75" x 21.25"
Brown Elfin Butterfly, perched and ready to fly off. 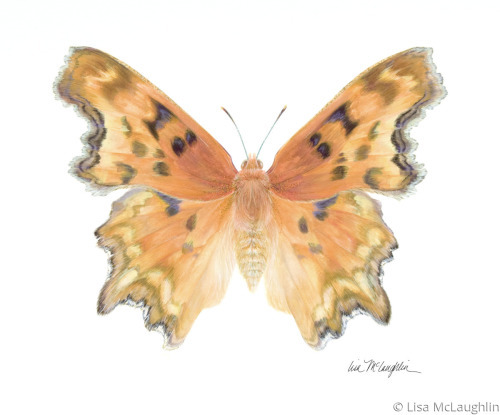 Bright rich orange,terra cotta and copper wings shine. 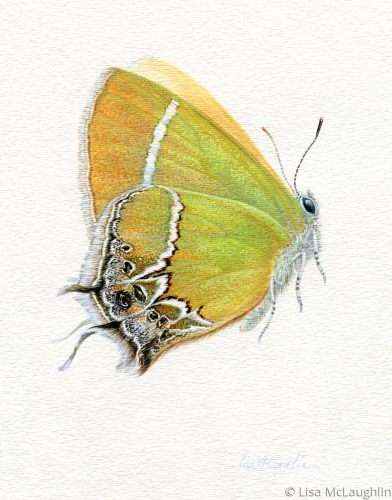 Juniper Hairstreak Butterfly perched, eyes bright and looking toward the next flower. 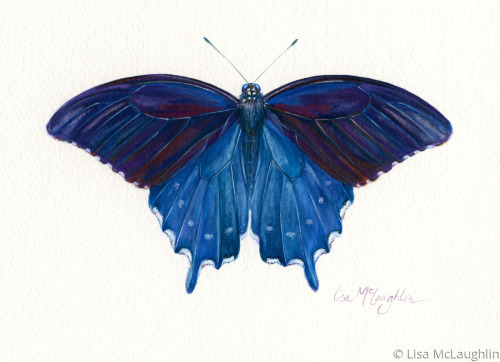 5" x 6"8" x 9.5"11" x 13"14" x 16.75"17" x 20.25"22.25" x 26.5"
Pipevine Swallowtail Butterfly flutters by on rich blue wings. Orange eye spots on undersides of wings really pop. 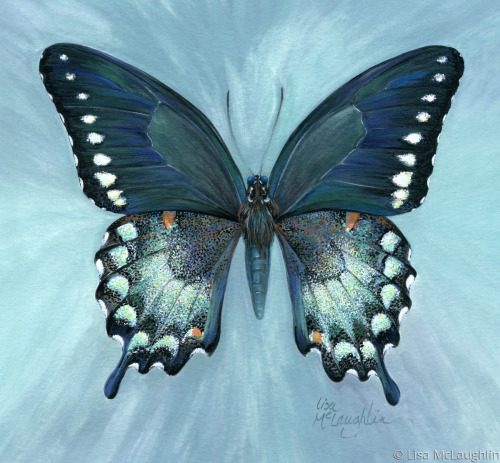 Spicebush Swallowtail Butterfly on teal background. 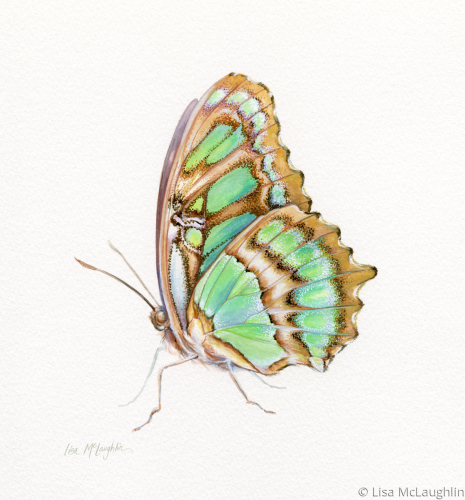 Mint greens sparkle against deep blues and forest greens. 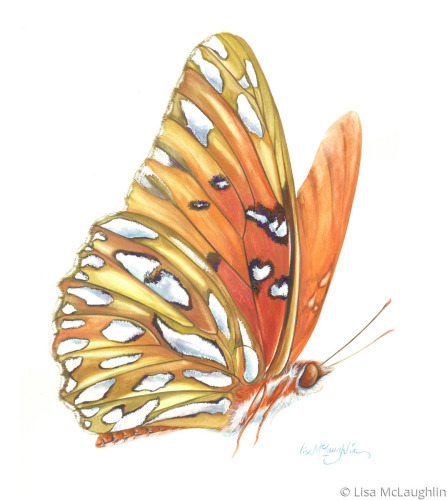 Watercolors allow for both detail and sparkle. 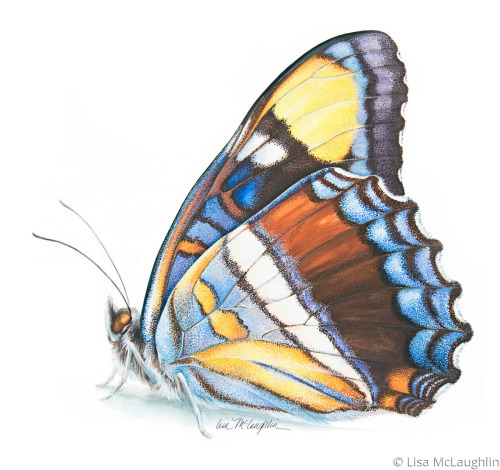 5" x 5.5"10" x 10.75"15" x 16.25"20" x 21.5"25" x 27"28.5" x 30.75"
Beautiful State Butterfly of Colorado, exotic looking iridescent indigo with orange spots. 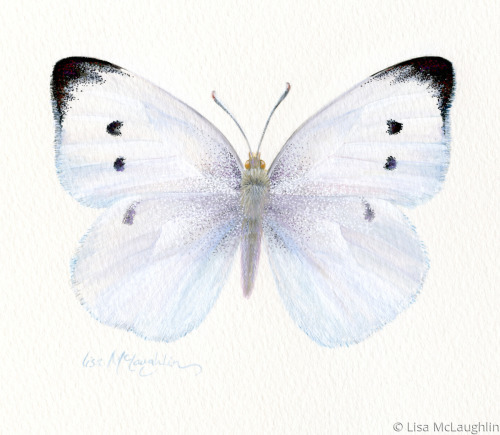 The original artwork has been sold.